The Aston Martin DB5 is one of the most famous cars in the world, thanks to John Stears who created James Bond’s deadly, silver-birch DB5 which made its debut in the 1964 film Goldfinger. 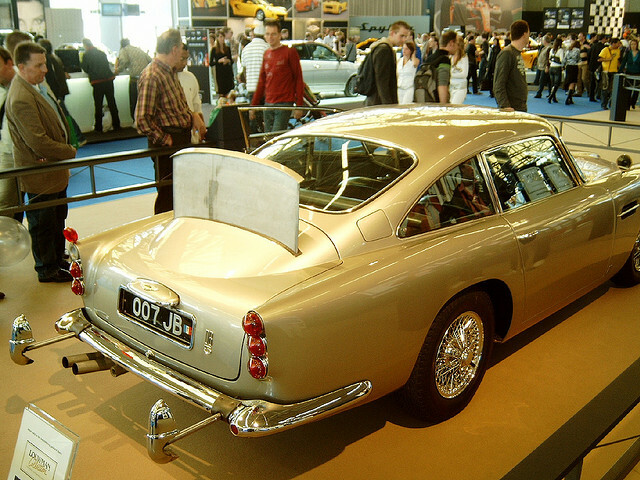 Two DB5s were showcased at the 1964 World’s Fair in New York, to promote the film. While author Ian Fleming had written a DB Mark III for his character in his novel, the DB5 was Aston Martin’s newest model at the time of filming. DB5s would go on to make appearances in several Bond films: Goldfinger, Thudrerball, GoldenEye, Tomorrow Never Dies, Casino Royale, and Skyfall. Bond’s original DB5 which was featured in Goldfinger and Thunderball was sold at auction for 2,600,000 pounds silver.